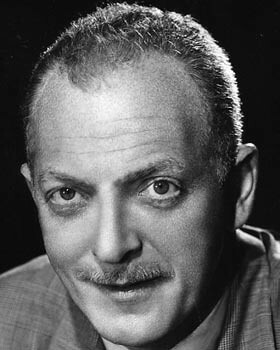 Character actor Everett Sloane appeared on radio and in films and television during his 30-year career, but his is best known today for playing Mr. Bernstein in Citizen Kane (1941). Everett Sloane was a versatile actor who played a wide variety of roles in his long career from a nebbishy newspaperman in Citizen Kane (1941) to a cantakerous bootlegger on The Andy Griffith Show. Sloane had a thriving career in radio and television but he is best known today for his film collaborations with Orson Welles. Sloane was born Oct, 1, 1909 in Manhattan to Nathaniel and Rose Sloane. He fell in love with acting at age 7 when he appeared as Puck in a school adaptation of A Midsummer Night's Dream. In 1927, Sloane dropped out of the University of Pennsylvania to join a theater company, but he soured on the thespian life after reading a harsh review that compared his dramatic acting style to Harpo Marx. Jedediah Smith (Joseph Cotten, left), Charles Foster Kane (Orson Welles), and Mr. Bernstein (Everett Sloane) celebrate the success of their newspaper in Citizen Kane (1941). Sloane went to work as a runner on the New York Stock Exchange, but his business career ended with the stock market crash of 1929. Sloane returned to acting, this time in radio. Sloane's real voice was deep and imposing and he was also an excellent mimic, which made him a natural for the expert voice acting that was required in radio (Sloane actually sounds quite a bit like Orson Welles, which comes as quite a surprise to those who are only familiar with him from Citizen Kane, where he used a New York accent for Mr. Bernstein). 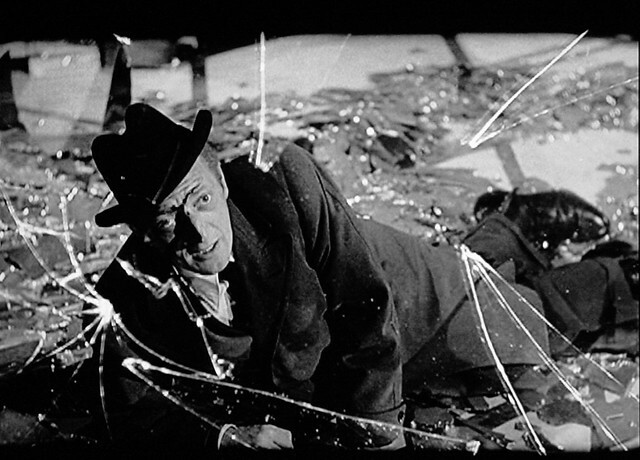 Everett Sloane in the famous hall of mirrors sequence in The Lady from Shanghai (1948). Sloane quickly moved his way up the ladder in radio, playing villains in Buck Rogers and the Shadow, and he was a regular on The Goldbergs and Bulldog Drummond. Sloane also appeared on The March of Time, which was a radio dramatization of current events. He often used his vocal talents to impersonate Adolf Hitler, which he estimated he did more than 100 times during the course of his career. In 1938, Sloane joined Welles' radio company The Mercury Theater of the Air. He appeared in the infamous War of the Worlds program on Oct. 30, 1938, and he joined the rest of the Mercury players in Hollywood to make Citizen Kane. 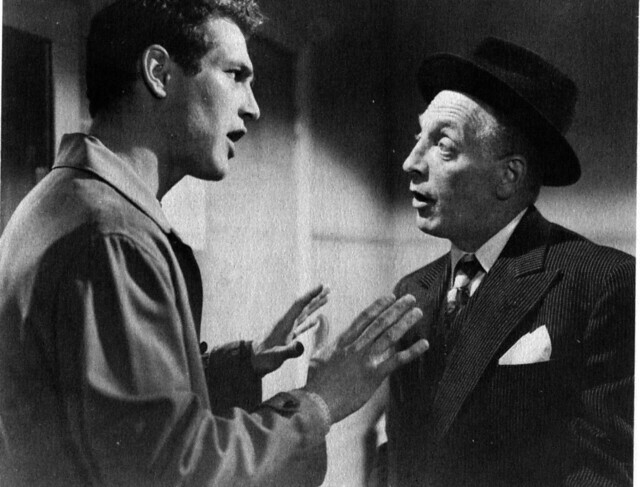 Everett Sloane played Rocky Graziano's (Paul Newman) manager, Irving Cohen, in Somebody Up There Likes Me (1956). In Citizen Kane, Sloane plays Charles Foster Kane's loyal right hand man, Mr. Bernstein, who moves up the ladder from office boy to millionaire business manager during the course of the film. After making Kane, Sloane returned to the theater where he had a successful run in A Bell for Adano co-starring Fredric March. In 1948, Sloane re-teamed with Welles for what is probably his best screen performance as the crippled defense attorney husband of femme fatale, Elsa Bannister (Rita Hayworth). 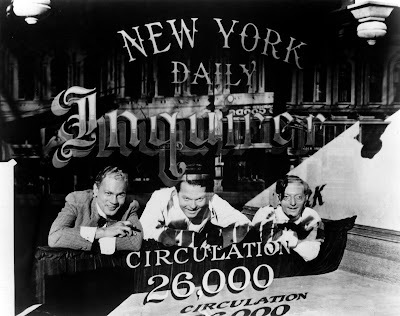 The spectacular hall of mirrors sequence, which features a confrontation between Hayworth, Sloane and Welles has been much imitated and parodied through the years (clip below). Sloane gives the best performance in the movie -- Welles shouldn't have attempted that ridiculous Irish accent -- and he gets one of cinema's great last lines in his kiss-off to Elsa, "You should have let me live. You're going to need a good lawyer." Sloane successfully moved into television in the 1950s. He won great acclaim as a ruthless tycoon in Rod Serling's TV movie, Patterns, and he repeated his performance in a feature film version. Sloane was also a guest star on many shows, including a memorable turn as a obsessive gambler in The Fever episode of The Twilight Zone. Sloane also had a memorable role in the second season of the Andy Griffith show where he plays a cantankerous bootlegger who accuses Opie of starting a fire in his barn. Incidentally, Sloane, who enjoyed writing songs, came up with lyrics for the famous opening tune for The Andy Griffith Show, which was composed by Earle Hagen and Herbert Spencer. The lyrics were never used on the show, but here's Griffith himself singing "The Fishin' Hole." Sadly, Sloane became very depressed after he began to lose his eyesight. He committed suicide on Aug. 6. 1965. He is buried in the Angelus Rosedale Cemetery in Los Angeles.